Tia Talks - Read & Relax with a hot chocolate! Poop Emoji Cake for my Brother’s Birthday! A couple of weeks ago in my Top 5 Mystery Books post I mentioned that I was working through reading through “The Devil Walks” book and mentioned that I would write in depth review when I finished.. Well I’m done reading through the entire book so here’s my in depth The Devil Walks book review! First of all I have to say how much I enjoyed the book as a whole, there was never a dull moment and the whole story lead up to an insanely dramatic ending which I never expected! But you’ll have to read my story outline if you want to know more about the story! 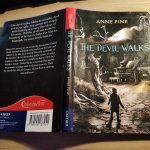 The story started by giving the reader a quick catch up on what’s happening in the world of The Devil Walks with a boy named Daniel which had been locked away from the world by his own mother! His mum would use lies to keep him away from the outside world telling people he was ill in bed when really she just didn’t want to let anyone see him. Eventually a local doctor named Dr. Marlow managed to lure Daniel’s mother out of the house whilst the doctor sneaked into Daniel’s room and checked him for any illnesses to which it turned out he was fine! The doctor took Daniel away from his mum to the doctor’s own house with his family of 3 children, Sophie, Mary and Cecilia and wife Mrs. Marlow. Upon arriving at the doctor’s house Sophie is super excited to meet Daniel because they’re of similar age and she sadly didn’t have many other friends. Mary and Cecilia, however were older so didn’t really care for Daniel much. After the doctor’s findings about Daniel’s mothers’ very strange behaviour he got her taken to a mental asylum and soon after most of her belonging were burnt too! However Daniel wanted to keep his mother’s dollhouse so took it with him before it could be burnt. Not long after Daniel’s mother had been admitted into the metal asylum, Liliana (Daniel’s mother) committed suicide showing how unstable she really was after being taken away from Daniel who in her head was only being protected by her, making sure nothing would happen to him! Obviously once Daniel heard the news about his mother he was critically hurt and blamed himself for leaving her. Since meeting Sophie and getting the doll house from his mother, Daniel and Sophie were constantly making up new adventures together in the doll house. He was pretty shaken up after finding out about his mother but whilst playing with Sophie once again she found a hidden trap door which none of them had seen before. Inside the trap door was a very mysterious doll with two faces on each side of its head, they thought it was pretty spooky but decided to name it anyway and called it Severn and played with it too. This doll they found wasn’t just any ordinary doll though, once Sophie was holding it she started acting very differently towards Daniel saying mean things which was completely unlike her personality. The doll went on to ruin future doll house play sessions somehow always finding a way to work its way into the middle of a story and ruin it however it could. At this point in The Devil Walks the story starts to take on a twist of something spooky which sets the scene for the following chapters. Whilst all this was happening Dr. Marlow was still on the look out for any families which could take Daniel as his own family was already too big for him to handle alone so eventually the doctor found that Daniel had an uncle who could take care of him named Captain Severn! Daniel had never met any relatives other than his mother and had never mentioned his name to him ever so it was a shock to him that the nickname they had given the doll was the same as his Uncles! Daniel did not want to leave the doctors house or Sophie so the doctor made a deal with Daniel where he could come back and live with them if he didn’t want to stay with his uncle after a month which he agreed to. Daniel was put on a train to visit his uncle’s house and when he arrived at the house he quickly realised that the house looked exactly like the doll house! Daniel wasn’t able to bring the doll house with him but as he was sure he would be returning to the doctors house after a month he didn’t mind. Upon meeting Captain Severn he was terrified to see how much he resembled the mysterious doll they had found too! While his stay at his uncles house, Daniel met two new important people named Martha and Thomas who had been working at the house for a long time and remembered his mother Liliana very well from her childhood living at the house. Thomas was the gardener and was the one who had built the doll house and dolls which went alongside it. Martha was the cook of the house and also mentioned being very close to Liliana in her childhood. 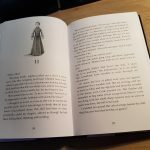 Daniel asked Thomas about the mysterious doll they had found hidden in the doll house to which he was told of the ancient powers it held and how sinister and evil it was, this made Daniel come to a realisation of to why Sophie started acting so strange since finding the doll. The story then went on to explain that Daniel’s mother also had two other brothers which died named Edmund and Samuel, the evidence for their death all pointed at Captain Severn who was also know as Jack. Daniel then learnt that his mother had been trapped in the house by Jack and it was Martha and Thomas who helped her escape to start her own life in safety. Whilst Daniel was in his uncle’s house all Captain Severn seemed to care about was the doll house, which Daniel fibbed telling him that it had been burnt with the rest of his mothers items. However Severn somehow knew that this was a lie and contacted the Marlows who told him directly that the doll house was with them, Captain Severn told them that Daniel was missing it and asked for it to be brought to the house just so he could get hold of it himself! The next morning when the doll house was due to be delivered, Captain Severn was furious at Daniel and told him that he was going to kill him and keep it a secret by telling the Marlows that he has just gone out on a trip to the sea! Severn locked Daniel in the attic and started to dig him a grave to hide his body, however Daniel had played with the doll house his entire life and knew all the hidden passageways and managed to escape. In the distance Daniel could see a cart delivering the doll house so before the cart reached the house Daniel jumped into the back of it and took the Severn doll which started to burn him as he held it! He ran back in to the house and threw it into the furnace, however it wasn’t over and the doll jumped back out of the furnace setting fire to the entire house creating a blaze so strong that nobody could extinguish it. In the end the fire burnt the house, the doll and the doll house to ashes. It turned out that Captain Severn and the doll were connected too because as the doll was destroyed so was Captain Severn! The story ended with Daniel returning to Marlows where lived happily and stayed best friends with Sophie, he also visited the resting place of his mum often too now with the understanding of her horrible past. Overall my personal favorite part of The Devil Walks book was near the end where Daniel was trapped in the attic and realised the house was an exact replica of the dollhouse; allowing him to find the secret doors and make his escape! It makes me think how awesome a dollhouse with tons of secrets would really be! I would definitely recommend this book to anyone as it’s full of drama, mystery and much more. Me and my friends loved reading this book where we chatted for days about the story! 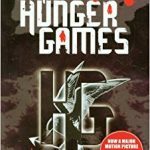 For my next book to read I’m planning on reading though The Hunger Games: Catching Fire as I finished the first one and got hooked with how really good it was! I’m also very curious on what will happen next in the story so! Have you read The Devil Walks book? What were your thoughts on it? What else have you been reading? Let me know down in the comments below! Last Christmas I decided to buy myself Pokémon Sun for my 3DS. My brother Sean had gotten Pokémon Moon as a christmas present and I wanted to play it too alongside him. 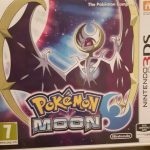 I had already been planning on getting the game anyway before christmas but because Sean got moon I decided to buy sun as we were curious to see what differences there actually were between Pokémon Sun and Moon! Sadly after playing all the way to the end of the game the only actual difference just seems to be that his is night during the day and my day/night cycle matched the real time.. not really worth a separate game in my opinion and I know a few people who bought both Pokémon Sun and Moon versions of the game to play theirselves! While playing my brother showed me the Wonder Trade system where I could trade any Pokémon with another random person also using the Wonder Trade. You didn’t know what they were sending you and they didn’t know what they would get either but I was trading with people around the world and got some amazing rare Pokémon early! When starting to use the wonder trading I was a very low level and didn’t have many Pokémon, I was sending out the most common Pokémon possible and felt pretty bad as I was getting a wide variety of Pokémon getting sent to me! I decided to trade them back out too. I ended up getting some pretty high level Pokémon early but sadly without the gym badge they wouldn’t listen to my commands in battle! Overall I really loved the feature because it makes getting some hard to get Pokémon such as the starts simple, helping fill up my Pokédex! My brother Sean ended up finishing the game way before me which kinda just made me lose interest and I stopped playing because I knew I would have to fight the final 4 which would be pretty tough unless I spent a bit of time training my Pokémon up further as they were pretty weak. I’m pretty sure I’ll be back playing the game one day though, Sean often goes back to playing the Pokémon DS games as he tries to fill his Pokédex as much as he can so I’ll probably be back to finish it then! Have you checked out any Pokémon games? 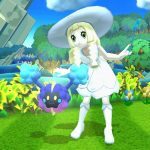 Did you play Pokémon Sun and Moon? Leave a comment down below and I’ll read and reply to all messages! One of my most memorable childhood memories is from the time I went camping in the wilderness with my family. 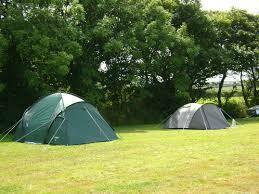 I had already been camping in a tent on campsites in the past but this time it was different. We decided to setup a tent in the middle of the wilderness and collected sticks to setup our own campfire. 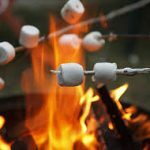 Of course we had also brought supplies for food and sleeping but something I was really excited about bring was marshmallows which we would be roasting over the campfire! 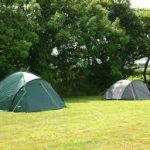 The idea of the camping trip all started back when me, my mum and dad were out walking our dogs with our neighbours when we found an open empty field and thought it would be a great place to go camping in! We pretty much all decided on the trip there and then so as soon as we got home we started packing for it where of course we packed all the essentials, especially the marshmallows! We were also bringing our dogs so had treats, bowls and leaders with us too! As we set off to the field I had only brought a pair of flip-flops for my feet.. it was a bad idea, they were slowly killing my feet throughout the trip and once we reached the field I had blisters between my toes 😕 owch! To make things worse later in the night I went on a walk with my mum as everyone decided we should go pickup food from a chinese takeaway which was a pretty long walk away from the site! (And I don’t even like chinese food other than just the chips or prawn crackers 😞) Once we got back to the site though everyone had finished setting up the tents and it was starting to get dark. We setup some chairs and ate our food. Once everyone had finished eating we started building a fire as at this point it was getting really dark. I was tasked with bringing tons of rocks back to make sure the the burning wood doesn’t roll away from the campfire. We got the fire setup pretty quick and it was finally time to enjoy our essential marshmallows! 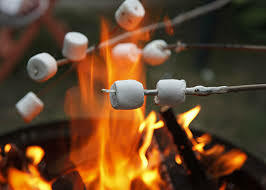 We roasted the marshmallows on the fire and they were delicious.. I might’ve burnt almost all of mine but it was still really fun! The warmth of the fire was making me sleepy so soon enough I decided to go get into my sleeping bag and fell asleep reading a book. Early the next morning we had to leave soon-ish because nobody had any clean clothes and we ran out of food for both the humans and dogs! It took us a while to take everything down and pack up but I helped (despite moaning about my painful feet!) The grass in the field was also pretty long so during the walk back I had cuts all over the bottom of my legs. Overall the trip was really fun and memorable but if we ever did it again I would definitely bring more comfortable shoes and wear long trousers! What’s your favourite childhood memory? Leave a comment below! Looking for some thrilling mystery books to read? Well here’s my personal favourite list of top 5 mystery books! 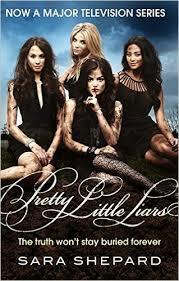 With Pre tty Little Liars I’ve only read the first book because I had already seen the TV show and a lot of similarities pop up making me feel like I had already read the book which was a shame, I would have loved if they twisted the books further from the show to give a new unique reading experience but the story behind it is still very good. The story is about 5 girls where 1 goes missing until 3 years later where the 4 remaining girls start getting weird messages from a mystery person called “A” who knew all their secrets and was threatening them with it. To be fair the book wasn’t really that memorable or as good as the TV show in my opinion, however I’m sure I would’ve changed my mind if I hadn’t seen the show first! It’s a really good story though so I would recommend either reading it or checking out the TV show which currently has 7 seasons and the final episodes are coming soon. If you want to know what I think of the Pretty Little Liars TV show check out my favourite shockingly good TV shows and movies here! Demon Dentist is a book about a boy who has never visited the dentist for a very long time and new dentist arrives into town and starts stealing the teeth of all children brought into her dentistry! Eventually the boy is brought in to get a check-up when she prepares him for his teeth pulling he escapes and flees to the streets to report her to the police but when they don’t belive him it’s up to him to explore the city finding evidence as crazy chaos ensures throughout his city adventures! I read this book in a single night because I was hooked on the story! I especially loved the 2 full pages filled with “AAAAAHHHHHH”! I absolutely love the hunger games series! 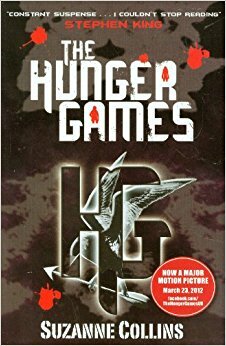 The story starts with a a girl named Katniss where it is time for the annual choosing of the Hunger Games, which is where a boy and a girl are chosen from each of the 12 districts (which are different tribes of people) and they are put against one another to fight to the death! I’ve only read the first book so far and I think it’s amazing and can’t wait to read the next ones! This is a book about a little boy who lived in captive inside of his own bedroom with his mother as his prisoner for over 13 years! She pretends that he has an illness which meant he couldn’t walk himself and spent his life in a wheelchair. Until one day after his mother had constantly refused doctors into the house to see her son, a doctor snook his way into his bedroom to find that there wasn’t even anything wrong with him! The doctor told him to come with him and live with him as his mother was taken away to an insane asylum! The rest of the book explores though the boy life as he learns more about his families past and truth behind his mothers insanity! Sadly I’m still yet to finish this book but I know it’s going to be a great ending, I’m so close to the end now that once I get a chance to sit down a read for a bit I’ll have it read in no time! When thinking up a list of top 5 mystery books I instantly knew which book would be top! This was actually a book we were reading in English class as part of an assignment but I ended up really enjoying it and I would say it’s my favourite book to date. The book is about a guy called Arthur Kipp who was sent away to look at a old house to find any memories or items left behind from the old lady who passed away living them. The house could only be visited at certain times of the day because the path leading up to the house was covered by the tide as it rose, making it an isolated house. When Arthur asked nearby villages about the house they would become extremely worried and didn’t want to talk about it! 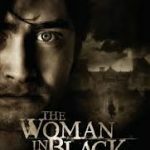 Arthur attended the funeral of the old lady and saw a mysterious woman dressed in all black looking lost in the middle of the graveyard. He mentioned to a friend at the funeral regarding the woman but friend acted strange not wanting to acknowledge the woman, did he know something Arthur didn’t? 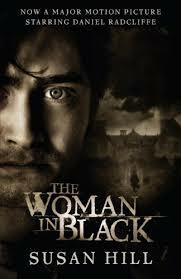 Arthur went up to talk to the faceless woman but as he approached her she vanished! From then on strange happenings occurred around Author and life would never be the same again! This horror book gets pretty spooky at times but if you’re into this style of books then this is definitely something you should check out! What’s your favourite books? Have you read any of my top 5 mystery books yourself? Let me know down in the comments below!